The Huayra Roadster blew up the internet a couple days ago. So now that we’ve all had a time to clean our pants, regain composure, and have a look at this car with a clear mind let’s examine what I believe is the most beautiful modern car to date. 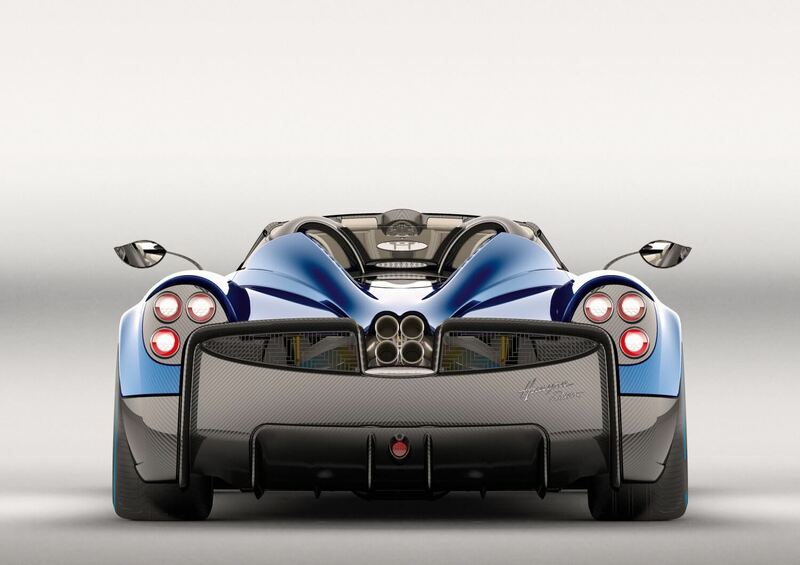 This is the culmination of everything Pagani stands for; the perfect harmony of form and function. It’s a hypercar in every sense of the term. There’s no electric motor assistance, no unnecessary mass, and a design to die for. The Roadster is more than just a Coupe with the roof chopped off. It’s the end result of years of development on the Zonda and Huayra projects, from the Zonda R to the Huayra BC. Technologies learnt from those projects, especially the BC, have resulted in a car that is independent from the Coupe. Just look at it. There’s nothing else quite like a Pagani on the roads. It has seductive curves, an aggressive stance, and a intricate and purposeful details. It’s more than a piece of art yet it is also not just a technical machine. Pagani are masters of attention to detail and I imagine the Huayra Roadster would be no exception to that. It leaves nothing to the imagination with a lot of exposed carbon fibre and exposed mechanical parts. 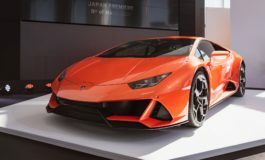 There are subtle difference over the Coupe; the front bumper features a more aggressive design similar to the Tempesta pack, there are ‘flicks’ above the taillights which aid airflow, and of course the rollover hoops and buttresses behind the cockpit for the roof and engine cover. Pagani cites the Mercedes-Benz 300SL as an inspiration. Like the first generation SL, the Huayra coupe had gullwing doors and the Roadster version had conventional doors. Hence the Huayra Roadster also has conventional doors instead of fancy and heavy butterfly doors. Let’s not forget the Zonda Roadster also had conventional doors, with the Zonda Cinque in particular being another inspiration for the Huayra Roadster. Interestingly, the Roadster will come with two types of roof. 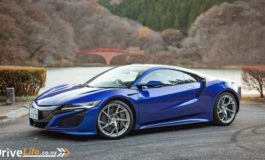 There’ll be the “hardtop” made up of carbon fibre with a glass centre as well as a “soft top” with carbon fibre with a fabric middle. 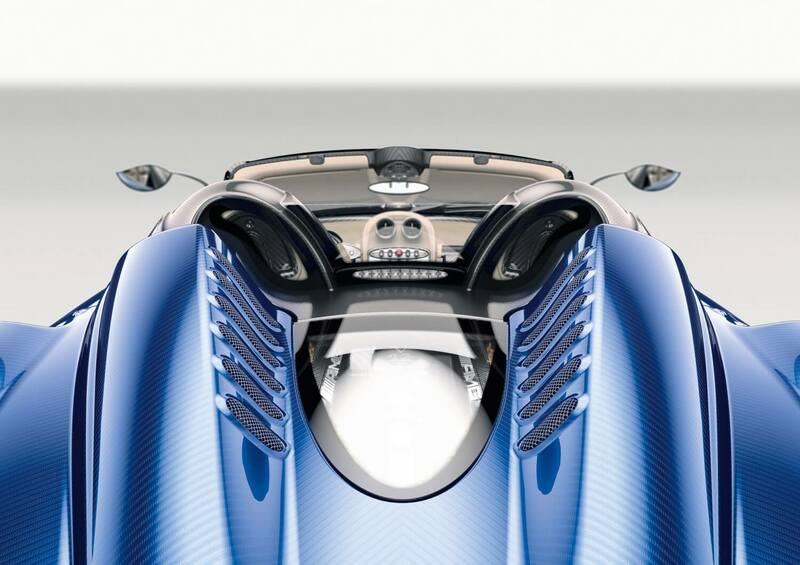 The roof is more of a one-piece targa top, unlike the more complicated roof of the Zonda Roadster. 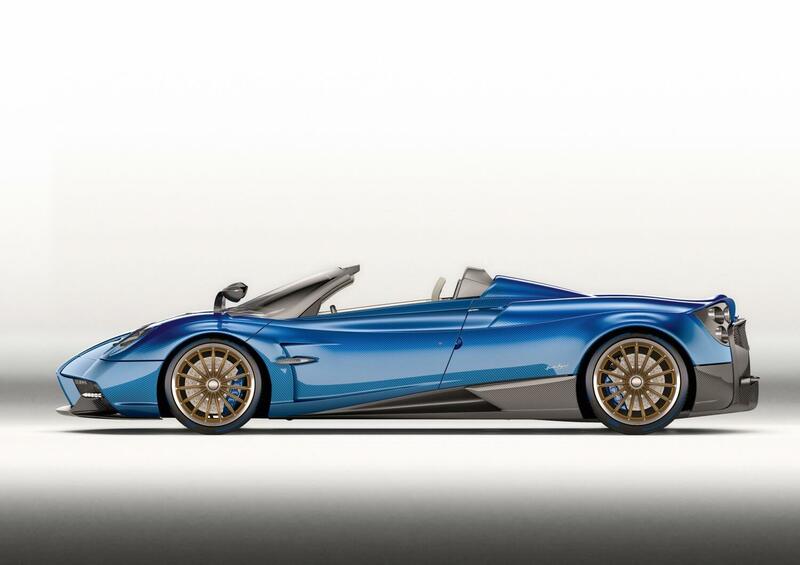 It also means the Huayra Roadster benefits from those gorgeous buttresses behind the seats. In some sort of magical way the Roadster weighs 80 kilograms less than the Coupe. That could be in part due to the use of Carbo-Titanium and Carbo-Trax HP52 materials. The result is 52% increase in stiffness while kerb weight is a low 1280kg. Powering the light body is a beefed up version of the Mercedes-AMG M158 6.0-litre twin-turbo V12 engine. 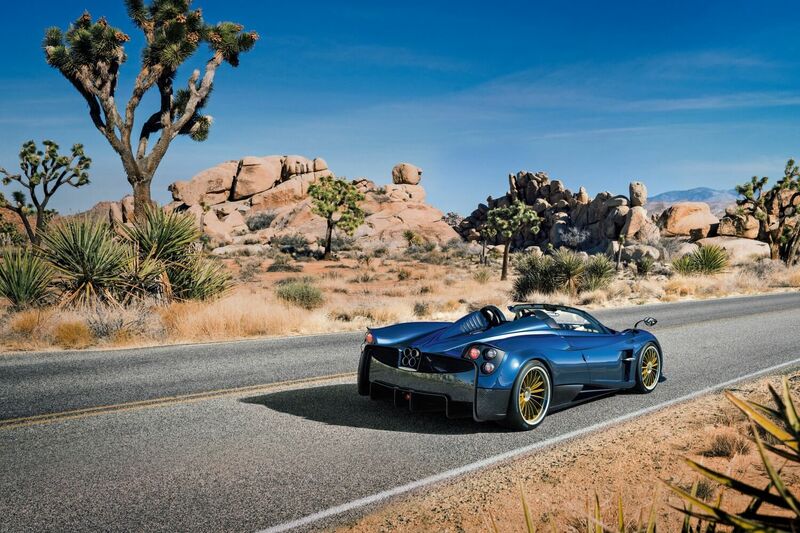 In the Huayra Roadster it develops 764hp/562kW at 6200rpm and “over 1000NM” of torque from 2400rpm. It’s also claimed the Roadster is capable of 1.8G of lateral force. Now I’m not sure if the 764hp figure is pure coincide or a nod to the one-off Zonda 764 Passione. Power is sent to the rear wheels and only the rear wheels via a new 7-speed AMT gearbox developed by X-Track. There’s a hydraulic and electronic activation system ad carbon synchronizers. The shifts are claimed to be more precise thanks to a new ECU developed with Automac. The Bosch electronic diff allows for adaptation to various driving conditons, allowing the Huayra Roadster to be as usable on the road as well as on track. Pagani are strong believers of the single-clutch automated manual transmission as it weighs about 40% less than the equivalent dual-clutch system and is more suited to the character of their cars. The suspension is made from a lightweight allowed called HiForg. The result is a 25% reduction in weight from the Huayra Coupe’s suspension. The setup is independent double wishbone all round with coil springs and adjustable shock absorbers and anti-roll bar. The tyres are Pirelli PZero Corsa specially developed for the Huayra Roadster to withstand its crazy 1.8g of lateral force capabilities. The brakes, as with Pagani cars since the Zonda F, are by Brembo. The Roadster benefits from 380x34mm 6-piston caliper up front and 380x34mm 4-piston caliper carbon ceramic brakes. While the ESP has been developed with Bosch and provides five driving modes: Wet, Comfort, Sport, Race, and ESC Off. 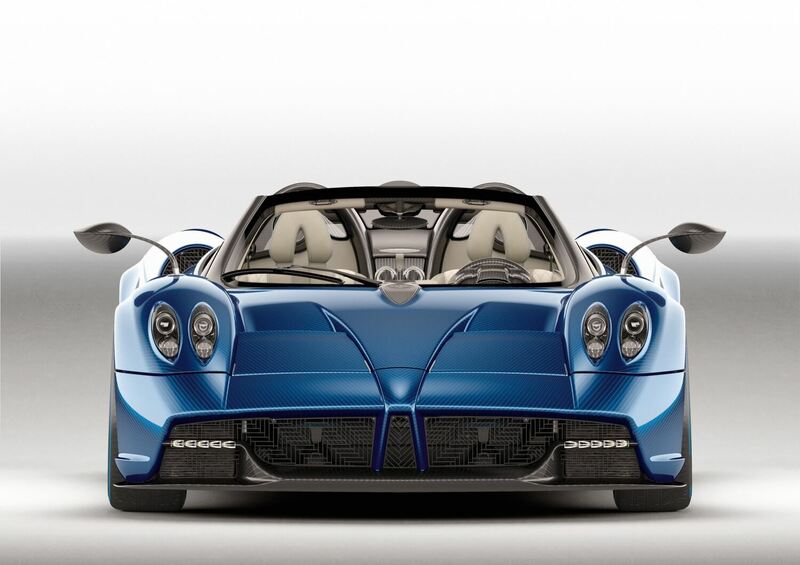 We can’t talk about the Huayra, named after the god of wind, without talking about aerodynamics. The Huayra Coupe was the first production car to have a fully computerized Active Aerodynamic system, which was then further developed with the BC and now the Roadster. The four flaps, two at the front and two are the rear, work independently to keep the car parallel to the road. In an open top car like the Roadster, they also help minimize turbulence. 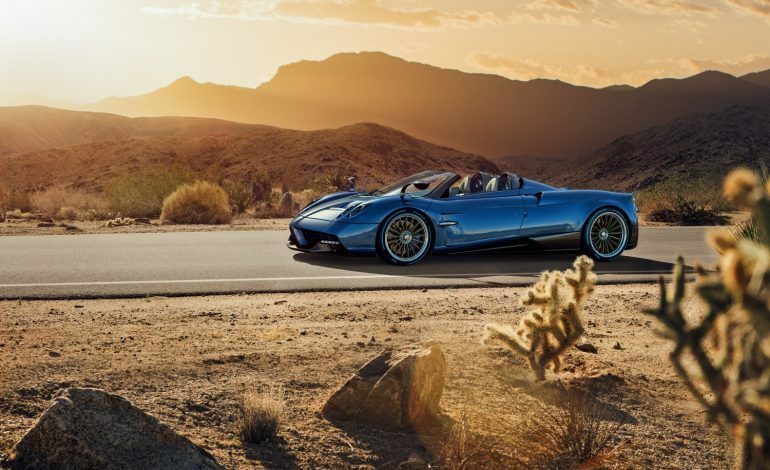 The Huayra Roadster has been a six-year development. Only 100 units will be made and all are already sold out. The starting price is € 2,280,000 + VAT. One should make its way to Japan so here’s hoping I’ll be able to see it one day soon. I am absolutely in love with this car, and not just because it’s a new Pagani. 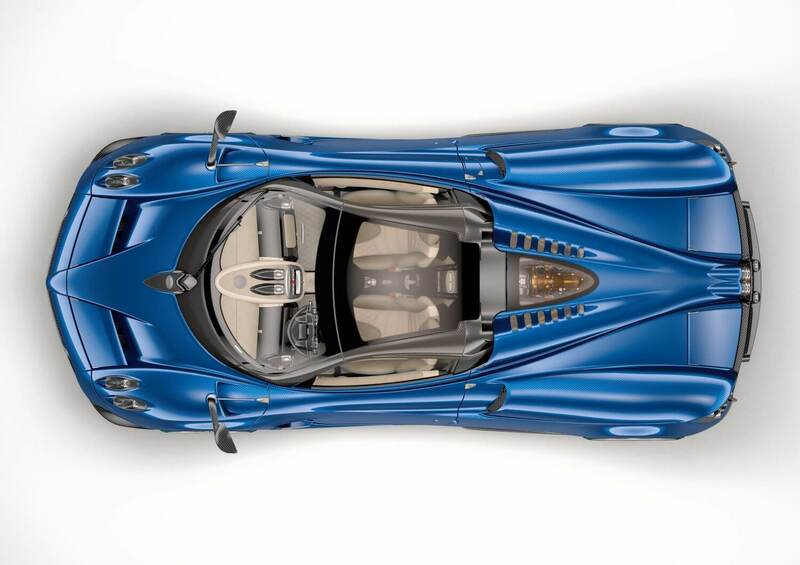 Well, okay because it is a new Pagani but also it’s hard to think of any other car that combines automotive art with this level of technology and engineering.